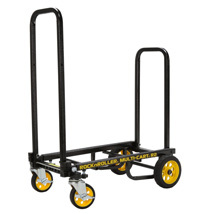 Compact size with a 350lb weight capacity! Transform into 8 different cart types with innovative design! 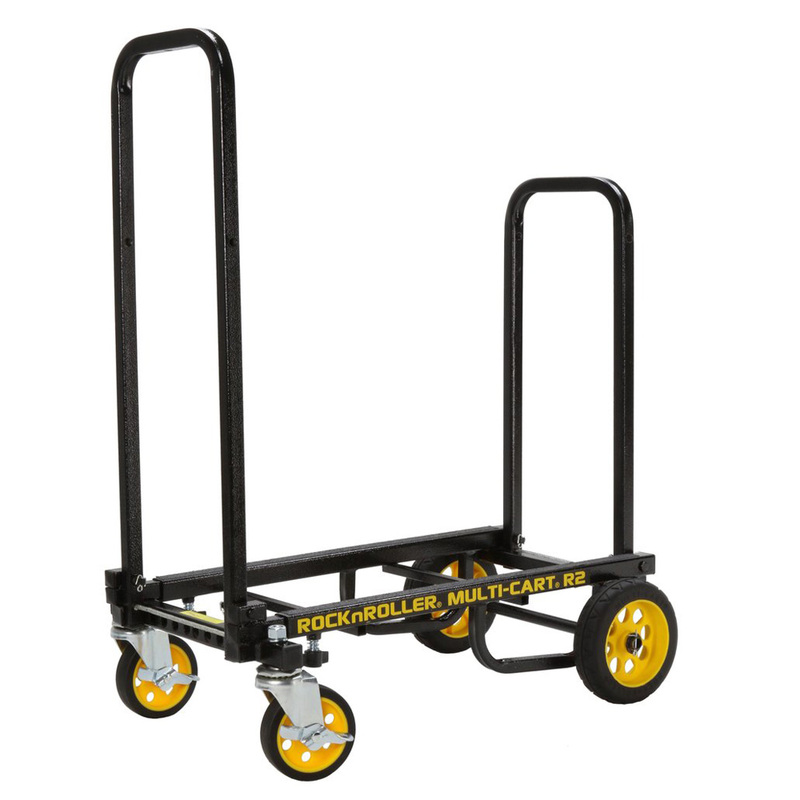 The 8-in-1 configurations allows you to use as a folding utility cart, hand truck, dolly, platform cart, equipment transporter or more. Featured 1" square steel tube frame telescopes from 26 in. - 39 in. in length with 25 in. front or 20 in. rear foldable sides. 6 in. x 1.5 in. rear wheels and 4 in. x 1 in. front swivel casters with brake. Load capacity 350 lbs. and 27 cu. ft.
Folds small and travel with you. When folded, it fits into a overhead bin on airplane.